We spent the weekend cleaning the house and the garage. Now, to start off with, I think we are pretty clean people. Well, the illustrator and I anyway. However, we live with 2 boys and two cats. So, while I don't blame them for all of the messes, they certainly don't help it out. Also, I realized that you have to move things often and vacuum under them. Roomba can only do so much. Where did all the dust come from? I do clean regularly. I won't even go into the mess that is still the garage. I will blame Luke, the male cat, I love the beefy cat dog but he is a mess! This picture is from last October so imagine a beast of a manly cat that is all muscle and as sweet as can be. He is the polar opposite of graceful. He splashes water everywhere when he drinks! Does anyone else have a cat that does that? I would never blame Leia, the girl kitty...she is far too graceful and sweet. She mothers her brother...thank goodness for her! She is dainty and sweet, but crazy too. In there defense, they have really high standards to hold up to. Our Maggie was an angel and no animal will ever compare. So, with all the cleaning this weekend...we need a weekend from our weekend! Max has kept me on my toes though. Ever since he started baking with me this summer, he is on me for the next project. It is good though because I need to be pushed to do some things. 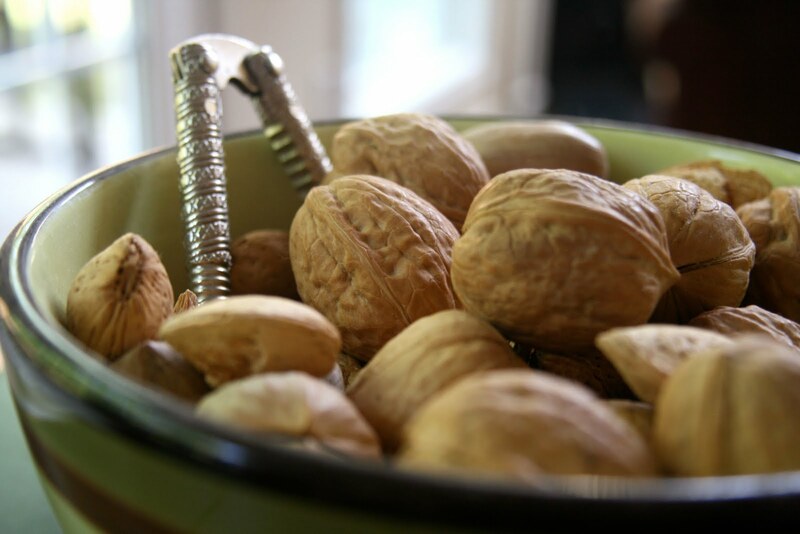 Take this nut bowl for instance. It has been sitting around since Christmas (if you look closely, you will see the dust on the bowl). The illustrator loves these during the holidays, but this year he didn't eat as much as before. So, with the expiration date looming on these and a few other seeds I have around, I needed to do something with them. I have been avoiding it mostly because I have to crack them and clean them and clean the food processor (and clean the floor from the mess)...Max was willing to help, so it was fun. I am totally loving the fun time of cooking with him! He is talking about what we are working on and asking questions. Then he talks to me later about what he learned. If nothing else, I found someone that will listen to my endless babbling about healthy foods and why we eat what we eat...he thinks flax seeds are a miracle food now. I have pulled one over to my side! Go me! Back to the food...this was a mixture of pecans, almonds, walnuts, macadamia nuts, sunflower seeds, flax meal and hemp seeds. We blended them all together and I let him choose how sweet he wanted it. He chose maple syrup and I was surprised that we just put a little in. He taste tested it along the way until he got it where he wanted it. This has a really great flavor. I was a little worried about the mixture of nuts, but they all came together well and the maple syrup definitely gives it a great slightly sweet touch. Have you made your own nut butter? What is your favorite? Mine is pecan butter! It tastes like pecan pie without all the gooey stuff. Did you cook with your parents when you were a kid? I did and I still remember those times to this day. Baking muffins are my first cooking memory. How about you? 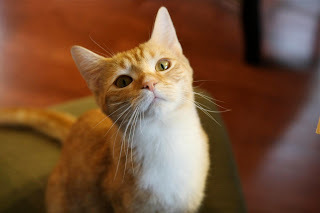 Thanks Nayoung for the kitty photos! awww the kitties are gorgeous, they would NEVER make a mess! 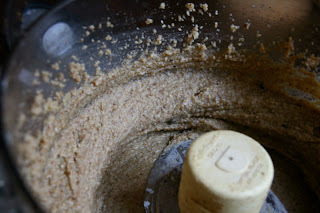 If I had a food processor, I'd be all over making my own nut butter! That looks sooo good! that's so awesome that Max is always wanting to bake with you now :) You've got a good helper! 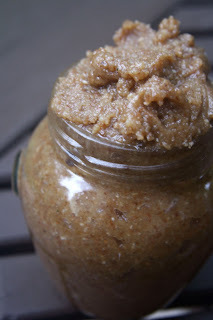 I blame my messy house on my dogs and hubby ;-) I have never made my own nut butter. That looks soooo good. Love that you're cooking with your son. I grew up in the kitchen with my mother, and my sister encourages her kids to help as often as possible. What beautiful kitties - I LOVE their names too! We just invested in a Vitamix (eek!) and are loving making our own almond butter. I also tried a raw cashew cream (soaked cashews, dates and a bit of water) last week - oh heaven!! Made cute little tarts with it & will never miss dairy cream again. That looks like an awesome mix! I think I'm going to try to make my own nut butter at some point. I recently bought sunflower seed butter and I'm loving it. But I'm crazy about nut butters so I always like to have about 5 options to choose from. I'm in the market for a new one but making it seems so much more fun!! YUM! Pecan Pie is my #1 favorite holiday dessert so I am sure I would love this! Pretty kitties!! I want a roomba sooooooooo bad!! We have 2 dogs and they shed terribly. So, I'm totally not into nut butter since getting a bun in my oven, but THAT looks GOOD!! I could totally eat it, yummm!! I blame myself for my messy condo. I'm a slob. My bf is a neat freak so I'm lucky. I cook, he cleans. 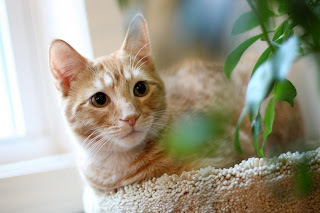 cute cats! that nut butter looks easy and good! thanks for idea...something fun to do with my girls! This looks incredible!! 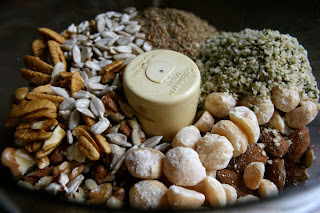 I need to try my hand at making nut butters! It seems so easy! that looks so good! 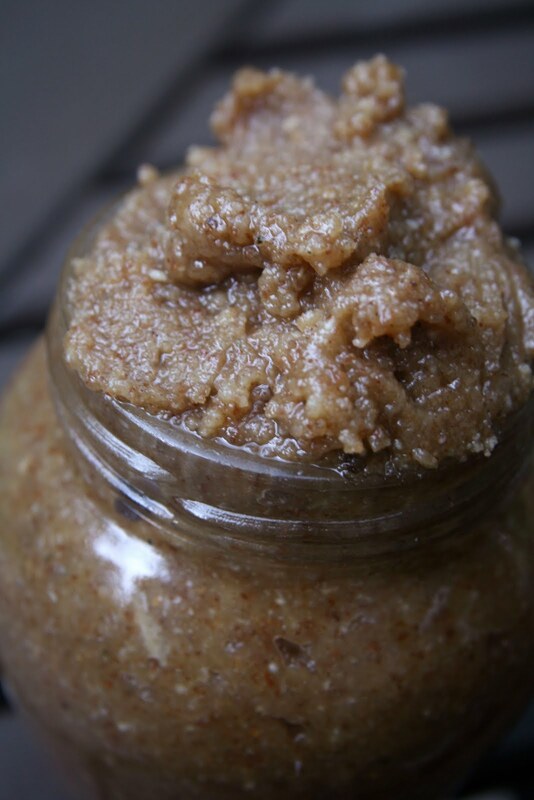 i love making my own nut butters but have never ventured beyond plain almond or peanut butter. aw you kitty is so cute. I haven't made my own nut butter, but I would love to try after seeing yours. I did cook with my parents growing up and I really feel like that is why it's such a huge part of me now. I have never made my own nut butter, but I would like to try! That's such a cute little cat. My favorite homeade butter is a chocolate almond butter. My blogging counterpart is highly allergic to peanuts. She had been making regular almond butter for years until we found a sweet surprise! Emerald Nuts makes Cocoa Dusted Almonds. They are incredible. 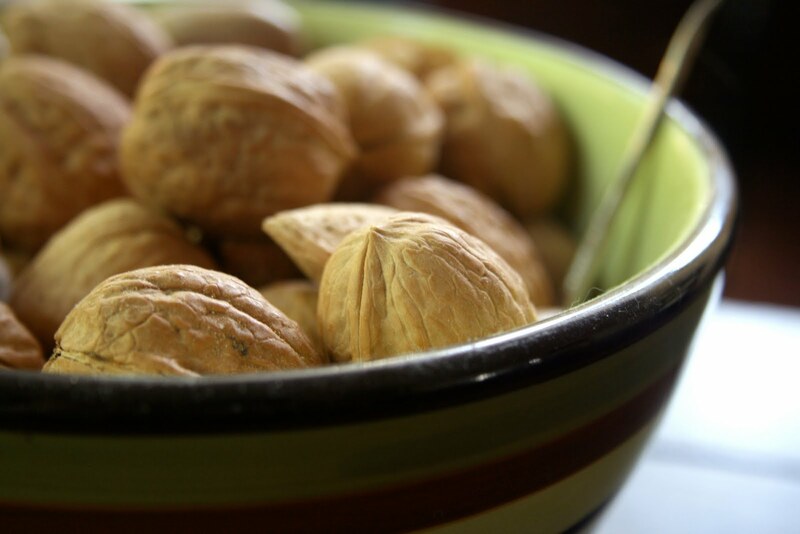 She blends these with a little bit of oil to make a chocolately delicious almond butter! As far as cooking my family, neither of my parents were big cooks. I learned how to cook from my neighbor, who was a gourmet chef. My dad always says he regrets not cooking with me as a kid. It is great that you and Max are able to enjoy that time together now. BTW, you should check out my new blog about healthier foods. We would love suggestions and tips for improvement! The title of this post totally got me, then the nut butter photos made me drool. YUM!!! i know what i need to do now when i get those big mixed bags of nuts around christmas time!!! SUCH A WONDERFUL IDEA!! so easy and i bet so awesome! i would much rather be edgy and be the only person who talks about splenda. garmin...dont get it. you will HATE the strap, it's just too damn big. will keep u posted on the polar adventures. you have such a pretty kitty! your nut butter looks amazing! !